Shannon was born and raised in the Central Florida area. As General Manager, she has been involved in every aspect of our business, from answering the phones to managing a job on site in the field. 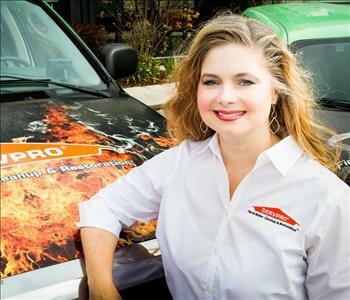 Shannon has worked with Scott Tracy, our franchise owner, for over 24 years. She is dependable, honest, and genuinely cares for every person she comes into contact with. Her consistent ability to listen to people's concerns and address those concerns has allowed her to help Scott build a team of professionals that feel like family. Jose Perez has been in the Orlando area since the 1970’s. After graduating from a local high school in 1983, he worked in the sales department for a local alarm company. Then, in 1995 he became a Firefighter for the city of Apopka. He then served as a firefighter for the Orange County Fire Department until his retirement in 2013. His experience as a first responder to disastrous situations allows him to show compassion to our customers as our Commercial Accounts Manager. 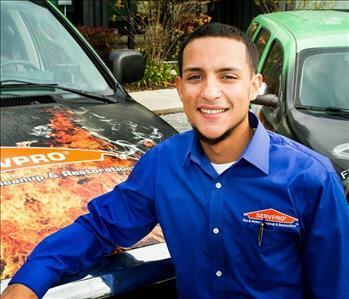 Jose is skilled at helping our customers navigate the stresses involved in bringing their current circumstances under control while helping them see the process through which SERVPRO can make this happen. Jose wants nothing more than to make sure that our customers are well taken care of. 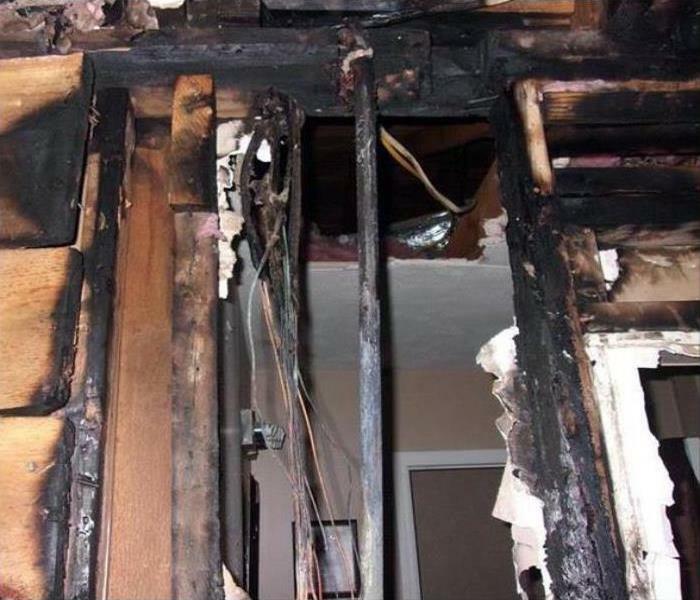 This has been shown by the numerous times he has stayed on a job site to help our crews long into the early stages of the job process. We are delighted to have him as a member of our management team. Mike Train began his career in the restoration industry in the 70’s in the Orlando area. 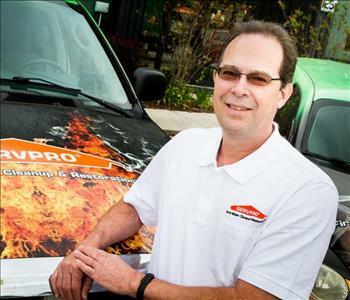 He owned a SERVPRO Franchise beginning in 1986 that focused on Building Service Maintenance (BSM). 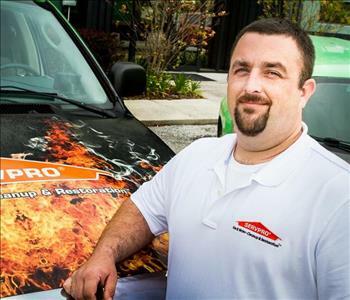 Within 4 years his franchise lead the nation in gross sales for BSM franchises and he became an OJT training site for all BSM franchises after the classroom at SERVPRO Corporate. He also became a field tester for new SERVPRO chemicals, particularly in the floor division. 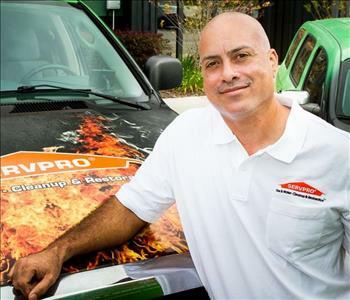 When SERVPRO Corporate decided to discontinue the BSM division, Mike opened his own cleaning company, which became very successful. Mike has a BA in Economics from Rollins College and a MBA from Belhaven University with a focus on Organizational Development and Ethics. With his ability to maintain organization during high stress situations and his in-depth knowledge of chemical complexities, Mike is an asset to our team. He is currently working a an estimator on our Repair Team, but has worked in many different positions over the years, and is always willing to go above and beyond to assist our customers. Michael Johnson, or MJ as he is known around our office, is a native to Central Florida. He comes to us with a background in metal work and commercial construction. As our Production Manager, MJ is a true asset to our team. He genuinely cares about our customers and our technicians. This enables him to make sure that the adjusters and vendors we work with are well informed during every job. 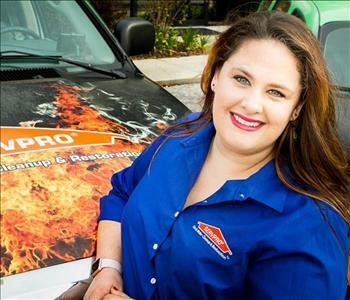 Christen Albert has been with SERVPRO for over 13 years. In this time she has had the opportunity to work with multiple franchise owners. The majority of her time has been spent handling collections, but she has had the opportunity to work hand in hand with every department, giving her the experience needed to accomplish her job with efficiency. She is a Journeyman Water Restoration Technician through the IICRC. 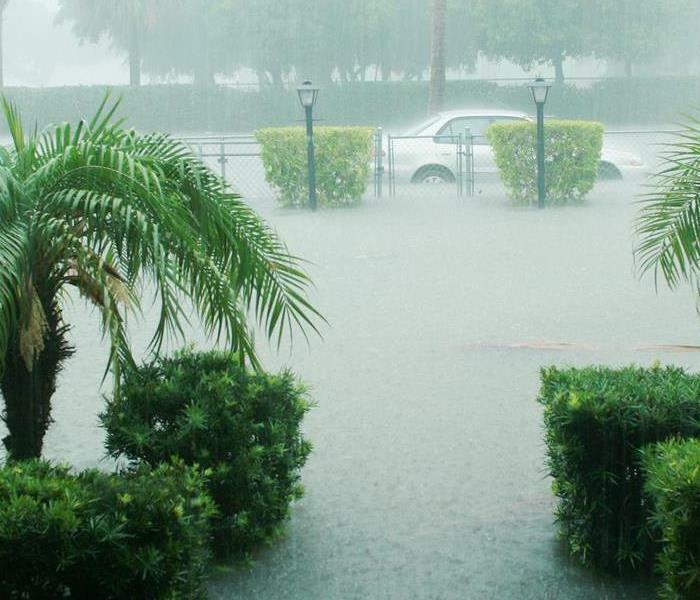 Mikkel Sanchez was born and raised in the Central Florida area. He graduated from Edgewater High School. Before coming to work with our team here at SERVPRO, Mikkel was a sales clerk at Finish Line. His experience in helping many different customers there has allowed him to help our customers. Mikkel is a member of our production crew, helping our customers in the field on a daily basis. Mary Ann was born in Byron, Georgia, which is just outside of Macon. When she was 9 years old she moved to Reddick, FL and then later to Ocala. She graduated from Ocala High School and then moved to Jacksonville to attend college. She began her career in the regional office of State Farm Insurance Company in Jacksonville, Florida when she graduated college. Then moved to San Antonio, Texas with her husband who was in the military, and worked for Security National Bank. The next military place of service was in Melbourne, FL, and there she worked for Radiation, Inc., which is now Harris Corporation. Next, it was back to Jacksonville where she worked for Reynolds, Smith & Hills, an Architect & Engineering firm which was involved with building the Preview Center at Walt Disney World, before any of the associated parks were ever built. 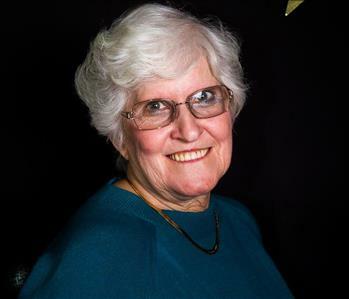 Then she moved to Orlando, and began work at what was then the Loch Haven Art Center, but is now the Orlando Museum or Art, from which she retired after 10 years. She worked part-time for several temp agencies after that as she wasn’t looking for full time employment, while her daughter was young. She also took on contracts to organize different homes, businesses, and filing systems around town, from dental and customer service offices to kitchens, storage areas, complete homes, and garages! 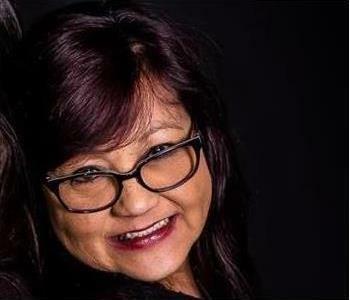 While with the temp agencies though, she found a job with people she really liked, and began full time employment for The Spoken Word of God and Christian Media International and was there for several years, just prior to meeting Shannon Perez and Scott Tracy, and beginning work with SERVPRO. Sandy was born in Kingston, Jamaica, W.I. She graduated from highschool in Jamaica in 1975. In 1988 she moved to Florida and worked in retail before coming to SERVPRO. Sandy truly is our “air traffic controller”. She knows where everyone is and helps to make sure that our crews are on time and that all of our customers are well taken care of. She also maintains customer communications on a daily basis. Sandy’s voice is usually the first one you will hear when you call our offices! After more than a decade of service to our customers, Sandy is an highly valued member of our SERVPRO family.